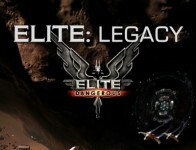 Home Posts tagged "Elite Legacy"
Lisa takes to the Frontier Development offices to have a chat with the author of the official Elite: Dangerous fiction novel “Elite: Legacy”, Executive Producer Michael Brookes, about his new book. 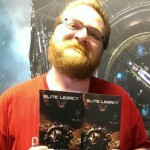 As a favour to us he agreed to judge our Elite: Legacy drabble competition to win a copy of the book. Listen to the interview to find out who Michael chose and hear him read the winners entry! Thank you to Frontier and Michael for taking the time to talk to us. You can check out his writing over on his personal site The Cult of Me.